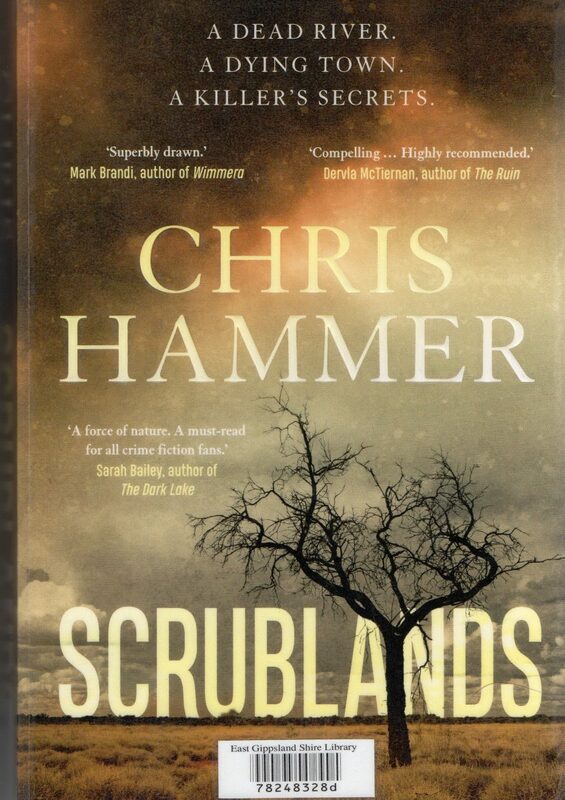 When I picked up Chris Hammer’s Scrublands (Allen & Unwin 2018) from the local library* I had forgotten I had ordered it and more importantly why I had done so. It is a whodunit/ thriller set in the fictitious town of Riversend an hour’s drive from the Murray River in New South Wales involving drugs, bikies, mass murder, and a ferocious and at times misleading media pack. As the ‘whodunnit’ genre of fiction is my reading for relaxation this was my first assumption. The town name Riversend is allegorical. Its message is that the town, with continuing heatwaves and bushfires, without water, has no future. And that can be extended to the nation. Much of Australia is now feeling these blistering heatwaves and droughts and both are occurring earlier and lasting longer. For Australia perhaps the grim future has already arrived?